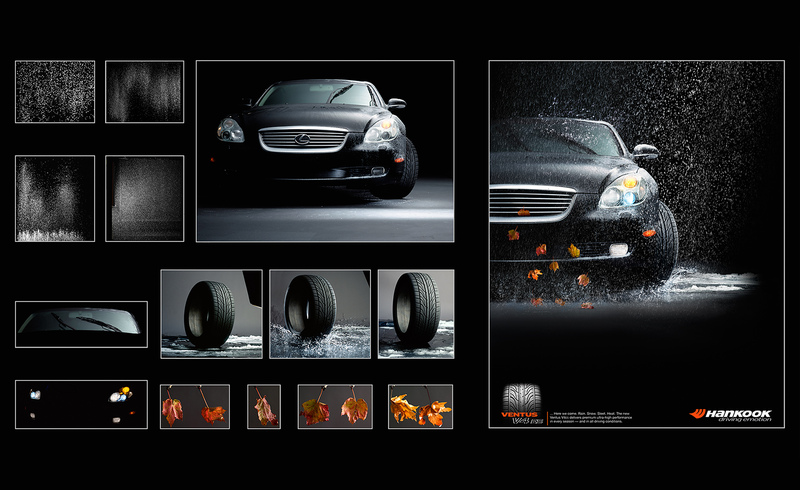 Ad, display for Hankook Tires •Award Winner / collaborative digital imaging PDN PIX Digital Imaging Contest. •Final retouched file had over 40 layers; combining weather effects, various splashes, and all or parts of 14 original photos. Lighting was altered, and shadows created as necessary.